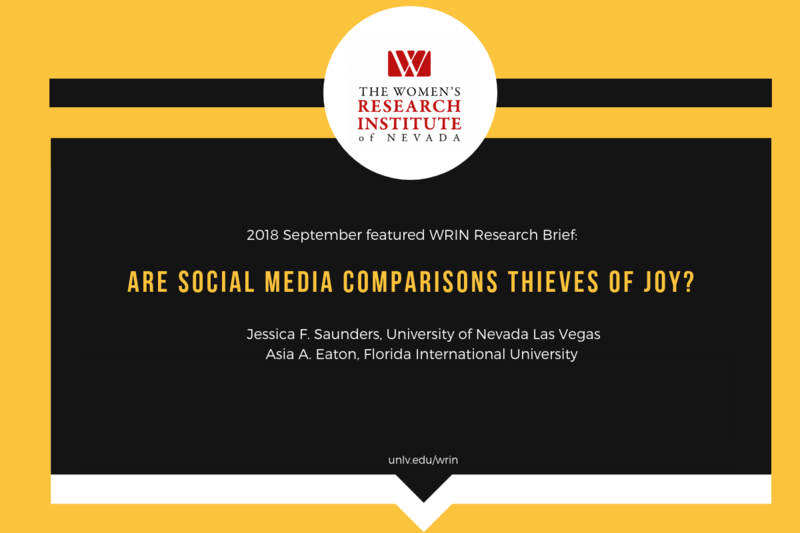 We are excited to announce our next monthly publication of WRIN Research Briefs, by WRIN Post-Doctoral Research Associate Jessica F. Saunders and Assistant Professor Asia A. Eaton in the Department of Psychology at Florida International University. Click to read "Are Social Media Comparisons Thieves of Joy?" If you are interested in submitting research to be part of our Digital Scholarship publication, visit our Research page.